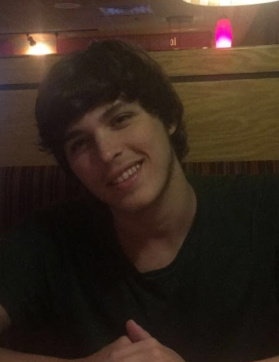 Evan R. Gaffi, from Piscataway, NJ passed on January 27, 2019 at the age of 21. He was born on November 18, 1997 and was the beloved son of Mario R. Gaffi of Piscataway, NJ and Leigh A. Jones of Vernon, NJ. He was the older brother to Cameron M. Gaffi also of Piscataway, NJ. He also leaves behind his Grandmothers, Josephina Gaffi, Elizabeth Meder and Barbara Jones, as well as many other relatives and friends. Evan will be joining his Grandfathers, Ugo Gaffi and Edward Jones in eternal peace. Evan attended school in Piscataway, NJ, Milford, NJ and Covington, VA. He graduated from Alleghany High School in Virginia. Evan had a deep and loving relationship with Jessica McGuinness as well as her family by whom he will be greatly missed.